The Enter Budgets screen can be accessed by selecting "Financial > Budget" from the menu. The budget is broken down into three sections: Income Categories, Budget Categories and Budget Items. For each section, there will always be an extra blank row for entering the next item. When you are done editing your budget, click 'update'. It is important to note that Budgets are tracked in arbitrary "Periods." 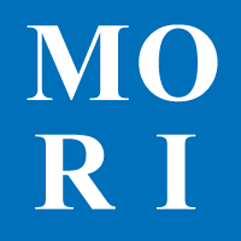 The first period begins when a lodge starts using MORI. A period ends whenever the lodge closes the current budget period by clicking on the "close budget period" button on this screen (detailed below). Income categories categorize all money received by the lodge. The system will always generate a "DUES" income category -- this category should be used to track dues payments. Amount - the amount of income expected in ####.## format (i.e., no dollar signs or commas). Delete - if there is no income allocated to this category, the category can be deleted. Budget Categories allow for the aggregation of Budget Items. For example, a budget category of 'Building Expenses' may have Budget Items like 'Heat'. Delete - if there are no budget items associated with this category, it can be deleted. Budget Items, in conjunction with Vouchers track all money spent by the lodge. Clicking 'print' on the Enter Budgets screen will allow you to print a report of the budget for any given period. Clicking 'close budget period' on the Enter Budgets screen will close the budget for the current financial period and will create a new budget that is a duplicate of the one just closed as a starting point. If the "DUES" Income Category is not used to track dues payments, the payments will not automatically lower the dues and arrears owed.